The oppression of the Uyghur in China’s Xinjiang province has been getting a surprising amount of media coverage. The first reaction most people have upon hearing about the Uyghur is to ask, “who?” so it’s worth reviewing some basic information about who these people are and why their struggle is worth paying attention to. In a nutshell, the Uyghur are an ethnic minority in China who practice Islam and speak the Turkic language. They are thus both an ethnic and a religious minority, unlike the Hui, who also practice Islam but who are culturally and physically identical to the Han majority. The Hui comprise the vast majority of Chinese muslims, so the Uyghur are a minority within a minority in that regard. The Uyghur’s ancient homeland in central Asia was previously known as East Turkestan, and has been variously ruled by khanates, dynasties, and warlords throughout history. The region was also named Xinjiang (“New Territory”) during the Qing dynasty. 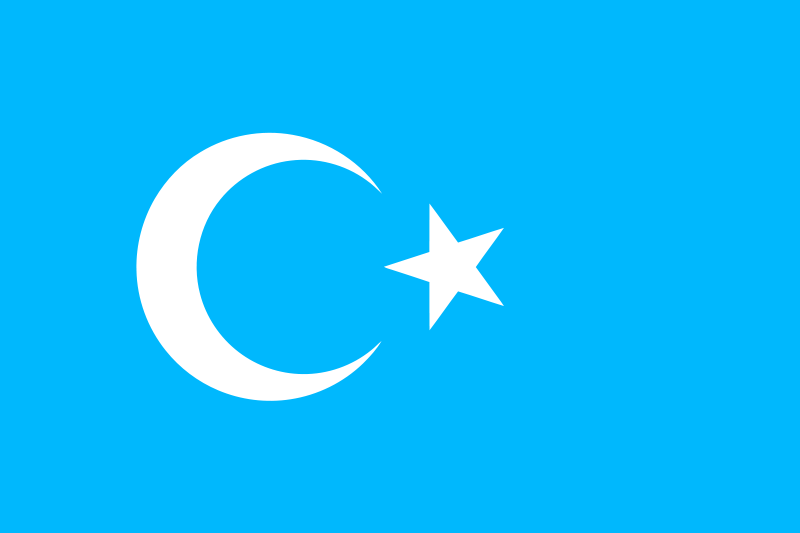 The Uyghur did establish a short-lived East Turkestan Republic between 1944 and 1949, albeit with Soviet help. That ended when the People’s Liberation Army took control and the area was renamed the Xinjiang Uyghur Autonomous Region. The Uyghur are persecuted by Beijing in much the same way that the Native Americans were for almost two centuries by the United States, in that they face a relentless and systematic campaign to wipe away their cultural heritage and erase their religious identity. The primary vehicle for this is the immense immigrant influx by Han Chinese into Xinjiang, a deliberate resettlement by the Chinese government to change the demographics of Xinjiang. Over the past 50 years this immigration wave has changed Xinjiang from being 94% Uyghur in 1949 to 45% Uyghur now, with Han comprising 40%. The capital city of Xinjinag, Urumqi, is 75% Han and the Han dominate all levels of civic society and government in the province. It should be noted that Uyghurs, like all minority groups, are exempted from the one-child policy, but there are vastly more Han than Uyghur in China, so the balance in Xinjiang is unlikely to be countered by birthrate. In addition to the deliberate dispossession of the Uyghur from their own land, the Chinese government engages in active religious persecution of the Uyghur, with believers forced to use state-approved versions of the Qur’an, a ban on beards and headscarves for any men and women who work in the state sector, and direct management of all mosques by the central authorities. Uyghur men are fined for performing prayers, muslim schools are closed down, and fasting by children or teachers is forbidden during Ramadan. In general, the state interferes in almost every aspect of Uyghur culture and religious observance that it can, in an attempt to make even simple observances and acts of piety too difficult to perform. The history and heritage of the Uyghurs are likewise under assault, with historic buildings and sites demolished and razed, and the Mandarin language is being imposed in rural schools to the exclusion of the Uyghurs’ native tongue. All of this is intended to eradicate the identity of the Uyghur, but at the same time the Uyghur are also the victims of discrimination and economic marginalization. Uyghurs are explicitly excluded from jobs, with signs stating bluntly that “no Uyghurs need apply“. Massive investment by the central gvernment has led to the creation of huge farms and construction projects called bingtuan, at which an estimated 1 in 6 Han in Xinjiang is employed, but Uyghurs are rarely hired. In urban areas, increased development has led to rising rent, pricing Uyghurs right out of the market (as noted above, Urumqi is 75% Han). In almost every sphere, Uyghurs are second-class citizens with limited prospects and unable to take part in the modernization and development of Xinjiang. This, then, is the context for the riots last week in Urumqi, which were actually triggered by a hate crime incident in eastern China. The resentment they feel is a serious threat to Beijing, which is why the response was so disporportionate and brutal. It is clear, however, that the heavy hand of Beijing is only making things worse. Related reading: The Uyghur Human Rights Project website is an aggregator of news stories about the struggles and oppression of the Uyghur. The Council on Foreign Relations has a very detailed backgrounder on the Uyghurs and Xinjiang that should be essential reading. Razib had an extensive post last year about the Uyghur, noting that “the Han Chinese push into Xinjiang brings to mind a different dynamic, while the Hui are Jews among gentiles, the Uyghurs are like the Sioux being encircled by homesteaders.” More recently, the New York Times had a nice history piece about Uyghur history and heritage, as well. Finally, a summary artricle in EurasiaNet discusses the tensions and grievances of the Uyghur in more detail.